It takes a lot of water to clean a truck, bus or train. A typical wash cycle can use over 100 gallons of water. Depending on where you live, access to fresh water can be expensive or limited, and your wastewater can be highly regulated. Westmatic's water reclamation systems can reclaim/recycle up to 85% of the wash water used in your wash process providing a cost-effective system that meets or exceeds the environmental regulations in your community. Our water recycling system filters water between 10-15 microns via a process of mechanical separation through stainless steel hydro cyclone separators. Discharge from the cyclones is sent back into the wash bay center trench, where debris will settle and eventually need to be cleaned out by a vacuum or pump truck. 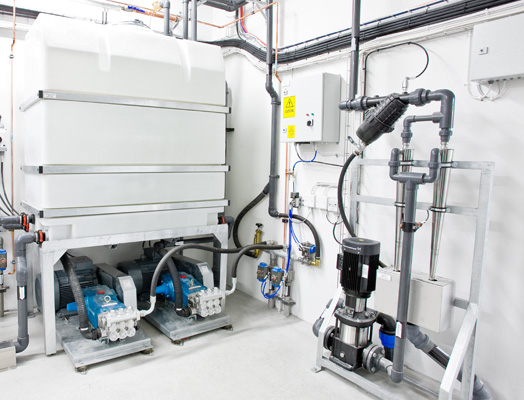 As a skid-mounted assembly, our water recycling systems are pre-wired and pre-plumbed from the factory which makes installation simple and attractive for retro fits into existing wash bays. Odors in the wash bay caused by bacteria growth are eliminated through Westmatic's Ozone generator (o3). Ozone is a natural element which kills bacteria growth and therefore eliminates odors. This process does not require routine maintenance and is the most economical way to treat wash water. Ozone is free! Wash water storage tanks are square and compact in design, reducing equipment room footprints and space requirements. In applications where water must be further cleaned and purified prior to discharging into a sewer system, Westmatic offers our exclusive purification solution - RENAREN - which is capable of meeting some of the world's toughest environmental demands. 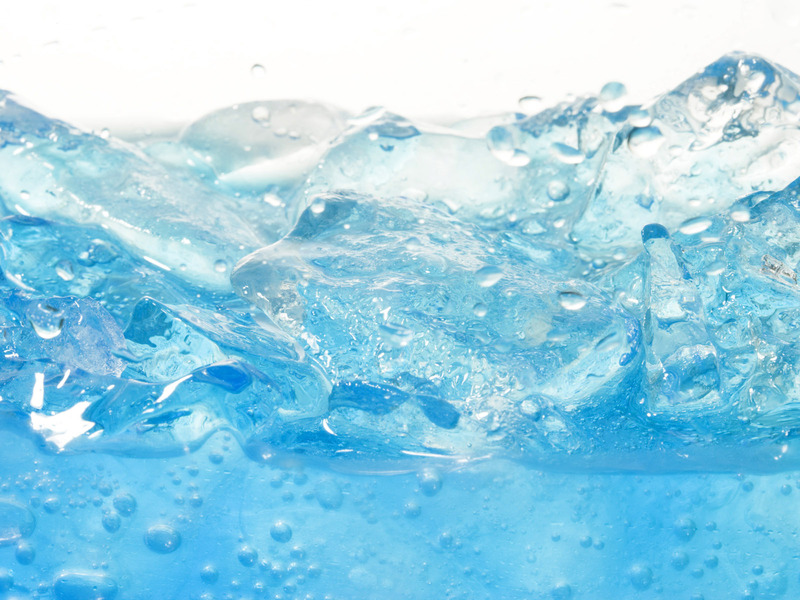 Through a process by means of electro-flocculation and electro-precipitation, no chemical additives are required for purifying. During electrolysis, water is reduced either to H2 (g) and/or oxidizes to O2 (g). This generates fine gas bubbles (approximately 20 µm). These gas bubbles slowly rise to the surface and collide with emulsified or disparaged impurities such as oil, heavy metals in the water phase and forms a flocking which is separated. Up to 80% can be separated by this method. To separate the remaining 20%, a special reactor-anode must be used. When Al is used, Al3+ is freed from the anode and the remaining impurities are either separated by precipitation or as Al (OH) 3 substrate. The RENAREN unit has applications in various industries where wastewater treatment is necessary. Our knowledgeable account managers and in-house design and engineering staff can work alongside you to determine the water reclamation or purification system that best suits the requirements for your project.